A fantastic little bar in the center of the Saint George church’s plaza. It’s called “27 Metri Quadri”, because it’s just that ,27 square metres, enough for a bar and a couple of stools. They were able to get some extra space outside, so there are tables for sitting and having a a quick coffee before church or a celebratory toast after a wedding ceremony while you’re waiting for the bride and groom to finish their photos. Outdoor seating is now covered, so you can enjoy an drink under the shade. 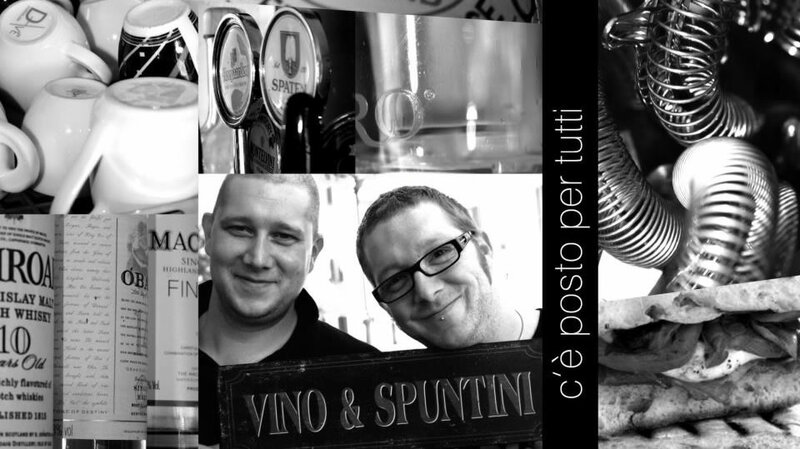 Run by two brothers Daniele and Marco, born and raised in Varenna, and they speak English. 27 Metri Quadri is great little place to hang out, sit back, have a glass a wine and relax with friends.